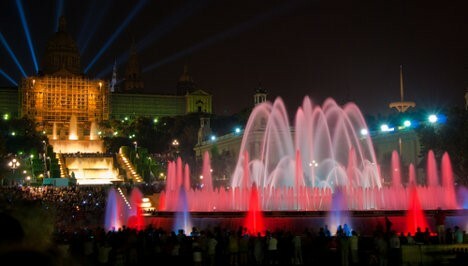 2013 was the first year that New Year’s celebrations were held at Montjuïc’s famous Magic Fountain, one of the city’s most scenic locations. The party is free of charge and starts at 11pm, but be sure to get there early – tens of thousands of people turn up every year! It’ll be a bit cold though (even Barcelona has a winter) so make sure you bring a thick coat. One of the highlights is the son et lumiére show at the magic fountain – where everyone gathers to watch the fountain’s unique and colourful show, building the excitement as we head towards midnight! Over the course of the hour the Reina Maria Cristina avenue will fill with people from all over the world anticipating the arrival of 2017. 2 big screens will be set up next to the fountain letting you count down to the new year in style. 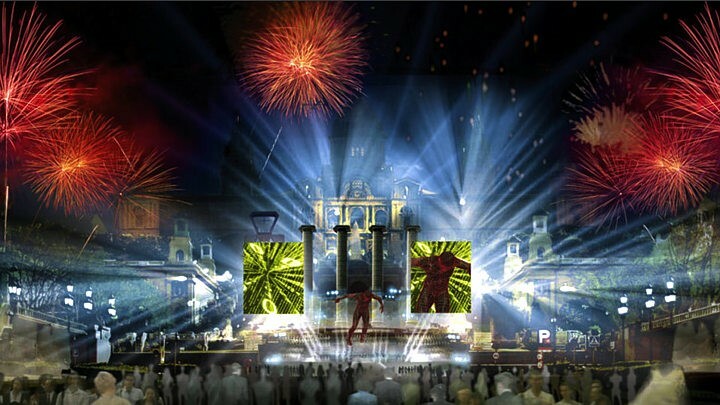 At 12 o’clock you’ll hear the 12 bells chime, signifying the coming of the New Year, then you’ll have to get ready for one of the biggest fireworks displays you’ve ever seen! But don’t worry, the party is just beginning: the fountain then becomes the focal point of a pyrotechnic display, making the Fonta Mágica even more impressive in preparation for a feast of different Catalan inspired events – this is the perfect time to witness the world famous Catalan Castellers, the tradition of forming human towers. 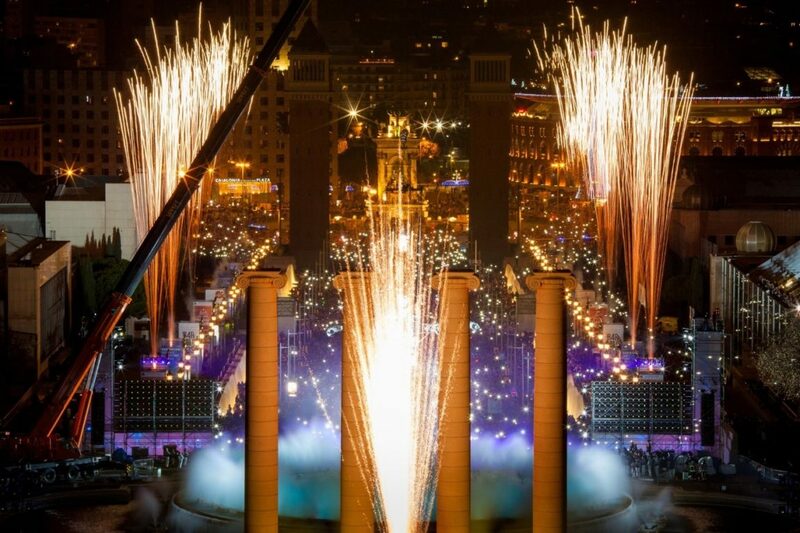 This is a tradition unique to Catalonia, and this is the perfect setting in which to see it. Then you can settle in for a night of live music provided by many different Catalan bands – a perfect piece of culture if you want to see the real Catalonia. Nochevieja is understandably one of the main nights in the year to go out in Barcelona. Some clubs don’t charge entry, but most do – so we’d recommend buying tickets and deciding where to go in advance. The entry fees can be quite expensive, but usually include a voucher for a few free drinks – so make the most of it! People go clubbing 365 days a year in this city for good reason. It is a place home to some of the best clubs and bars in the world, and every single one of them will be buzzing on December 31st. Do your research and decide where to go, but be warned – there are hundreds of unique events happening everywhere so it may be hard to decide. Check out Our New Years Eve Barcelona Pub Crawl as a great way to join multiple parties. New year’s eve in Spain is traditionally a night to celebrate with family. Most Spanish families eat a specially organised meal together, usually splashing the cash on the fanciest food available. This tradition is replicated in most hotels and restaurants on December 31st, as a means of bringing good luck. 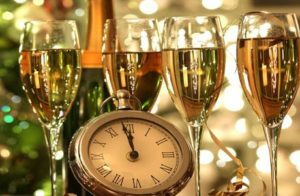 It is also tradition to eat 12 grapes at midnight, one for every chime of the bell – not to forget with a healthy dose of Cava, Spanish champagne. Some say putting a ring inside your glass and drinking it will bring luck and prosperity for the year that lies ahead. Barcelona is undoubtedly one of the best cities in the world to bring in 2017, so make sure you celebrate in style!